Spring has officially arrived in Paris, and both the locals and tourists have come out to play in droves. There is truly no city as wonderful in the spring as Paris. If you're lucky enough to be visiting the city this season, you're in for a wonderful treat. Gone are the black outfits that Parisians hide behind during the gray, cold winter. Instead, if you're very lucky, you may spy a Parisian wearing a pop of color and (gasp!) a smile. We wanted to showcase a few of the best places to spend a sunshine-filled afternoon in Paris. Below are a few spots that are ideal for some people watching, reading a favorite book, or sipping a cafe noir. Cafes: Paris is truly a cafe city, and the options for sitting outside and people watching at one are endless. 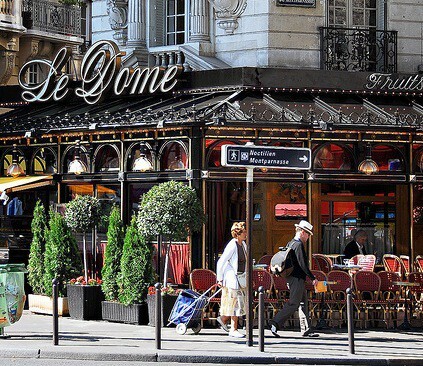 Find yourself a spot (perhaps at Le Dome or Le Select in Montparnasse which were two of Hemingway's favorites) and settle in with a good book, a cafe noir, or a glass of pinot. Tip Alert: A word of caution â€“ outdoor seating usually comes at a premium, with prices 1 to 2 euros higher for each item listed versus the prices on the regular menu. Gardens du Luxembourg: The second largest park in Paris, is gorgeous and filled with lush gardens and fountains. The perfect place to picnic with friends,or a waste away a quiet afternoon reflecting on your trip so far, the Gardens du Luxembourg never disappoint. You may even spot French politicians during your visit, as the French Senate is located on the park. Tip Alert: Keep your eyes peeled for the Pantheon, which one can see from the Luxembourg Palace. Parc du Champs: My personal favorite park in all of Paris is the Parc du Champs. Located at the base of the EiffelTower, one can watch everything from local soccer (excuse me, futbol) pick up games, to families exploring the grounds, to friends picnicking with a bottle of wine. So grab a baguette and some cheese, a bottle of red, and settle in for an afternoon. Tip Alert: This is also a prime spot to visit in the evening, when the Eiffel Tower's light show begins. 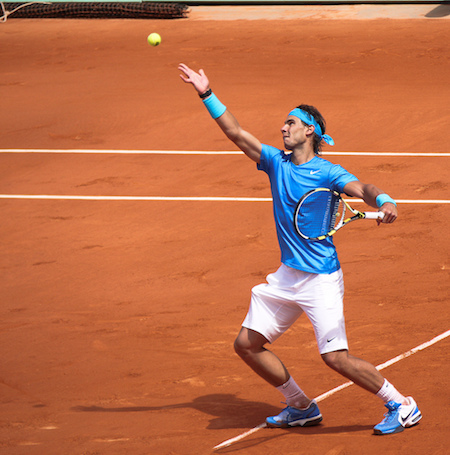 French Open: This may be more of a personal favorite, but what could be better than watching the world's best tennis players compete at the world's premier clay court tennis event? Will Serena repeat for her 3rd French Open? Will Rafael Nadal tie Bjorn Borg's French Open record? Will Djokovic solidify his position as the world's best in 2011? Tip Alert: Don't have a ticket to the French Open? Catch all the important matches on a giant screen deployed at the Hotel de Ville (Paris City Hall) throughout the tournament.